Would you be willing to serve as a Women's Ministry Liaison in your Sunday Morning Bible Study Class? Your only commitment is to CONNECT and COMMUNCIATE with women in your class about upcoming Women's Ministry events. 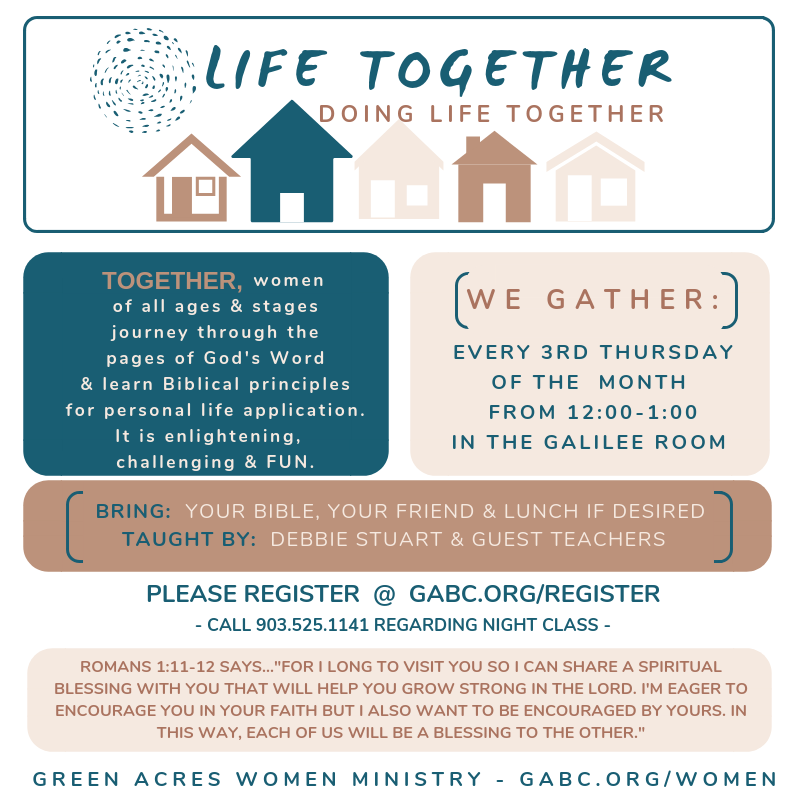 Contact the Women's Ministry Office for more information or to sign up! This group organizes teams of women to welcome new members through personal contact, notes and phone calls to acquaint them with their new church family. Meets the first Thursday of every month, producing creative products for needs throughout the community. Make a memory and touch someone’s life through a Mother/Daughter outreach each summer—for daughters age ten and over! A ministry seeking sponsorships for young girls fleeing FGM (Female Genital Mutilation) through monthly donations. Learn how you can be a part of this developing outreach by calling the Women’s Office.